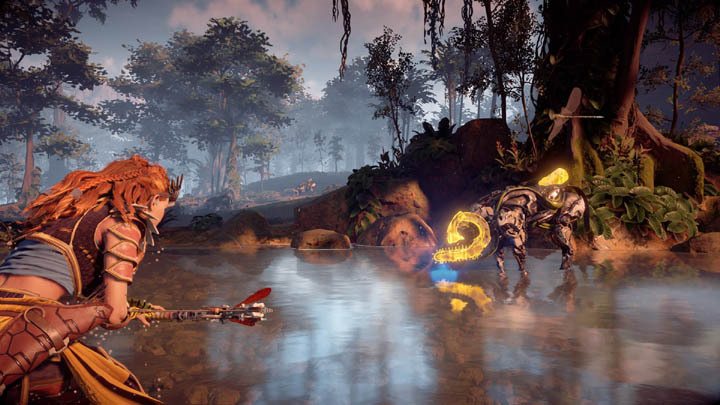 Upon starting Horizon Zero Dawn there are a number of essential tips that everyone should know about - they'll make a huge difference to your progress and can easily be missed if no-one tells you about them. So in this guide I'll share some of my best tips which I'm sure will come in handy. 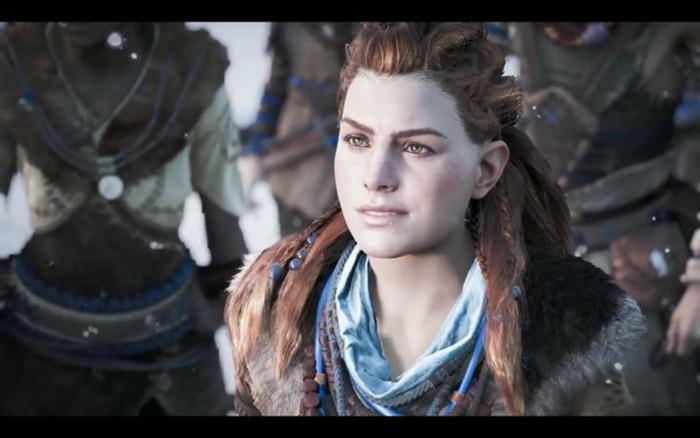 The Focus tool is given to Aloy very early in the game but sadly the ability to scan machines for weaknesses is sometimes forgotten by newer players. Remember to always scan a machine to understand it's weak spots - these are highlighted in yellow after a successful scan. Without targeting the weak spots before a fight it'll take a lot longer to take down a machine. Many of the items in your inventory are nothing but Metal Shard's in the waiting. To know which items you can safely sell, simply hover over them and check the short descriptions underneath. So long as the item isn't part of any crafting recipe then you can safely trade them with the merchant in return for Metal Shards. Once you unlock a mount (rideable animal) you do NOT have to hold down triangle every time you want to hop on its back. Instead, simply use the X button to jump onto the animal's back and you're immediately riding. Considering the importance of mounts for traversing the world this little one should speed things up for you. Every merchant in the game has a FREE loot box for you to collect. It's not obvious at first but if you scroll through the BUY menu and check the treasure/box section you will see a 1 x sample box. This is completely free, you just have to hold X to buy (which actually costs nothing) and the loot crate is yours to open and claim the resources inside. Usually it contains items such as Travel Packs, Shards and random crafting materials. The roll ability is great for dodging incoming attacks but it also has a secondary use. When Aloy is burning on fire, simply roll several times to put out the fire and stop the burning effects. This is useful against the fire wielding machines later in the game. When crafting additional ammo, avoiding crafting near to your stack limit. The game will still deduct the same number of resources but you will lose out on the full complement of crafted items. For example if your have 48/50 arrows then crafting another 10 will only gain you two, meaning that you just wasted 8 arrows and lost resources. Time the craft carefully and wait for a nearly depleted ammo count first. Aloys Focus tool is great for scanning machine routes and their weaknesses but did you know that you can permanently tag them to show their weakness at all times? Using the R1 and R2 bumpers you should tag machines so that when in their vicinity you can see their weaknesses permanently rather than having to continually scan to remember which elements are most effective against them. Horizon Zero Dawn's settings menu contains an option for permanent sprint rather than having to hold down L3. Flick this on and you can activate sprint by pressing L3 and then just steering in the direction you want to run. You may have seen animals (rabbits, birds etc.) crossing your path as you explore the open world or make your way to the next waypoint. Don't let these opportunities pass you by as animal meat and pelt are essential crafting ingredients later in the game - particularly if you want to upgrade your carry pouches to carry more resources, ammo, potions etc. One for a little later in the game, but Cauldrons are your typical RPG dungeon. They contain the means to override (tame) the larger beasts in the game. Many new players are oblivious to these dungeons - they not only provide some of the best action in the game but also a very handy tactic for pacifying some of the game's toughest enemies. See the Cauldron's guide for more details on the exact locations.